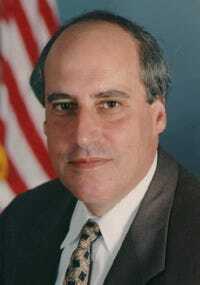 Does CME Board Member Dan Glickman Have A Conflict Of Interest In The MPAA's War On Cantor Fitzgerald? Unsurprisingly, the Cantor Exchange — the real-money movie trading platform that we plan to get totally addicted to — is running into a little 11th hour speedbump a few weeks before it’s set to go live. The LA Times reports that the MPAA has reached out to the CFTC to kill the platform, citing the potential for market manipulation and the inability of movie studios to actually participate. That last point is patently false: the movie studios are encouraged to participate — if they don’t the whole thing isn’t reaching its potential, though obviously insiders are enjoined from what anyone would recognise as insider trading. What’s interesting is that MPAA chairman Dan Glickman is a futures guy — he’s on the board of directors of the CME (CME) — so he shouldn’t be unsophisticated about how this stuff works. He’s also a former Secretary of Agriculture (and before that a Congressman from Kansas). We wonder if there’s a conflict of interest here — a board member of the CME going after another futures market under the auspices of a different organisation that he runs. CME trade contracts on all kinds of things (though not movie futures) — most recently skim powdered milk — why would it want anyone else invading its fortress?